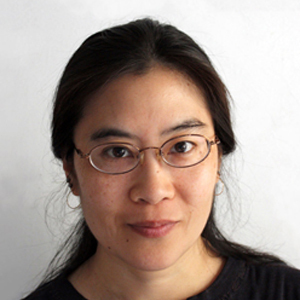 Deanna Lee was born in Carmel, New York, to parents who emigrated from China and Taiwan, and she was raised in suburban Boston. She received degrees from Oberlin College and the Art Institute of Chicago, and studied at the Tyler School of Art in Rome. She has had solo shows at RHV Fine Art, Wave Hill, and PS122 in New York City, and her work was recently featured in two- and three-person shows at Lake George Arts Project and Blank Space Gallery in New York. Deanna’s work has been included in group shows at: Abrons Art Center, ArtBridge, Artists Space, The Drawing Center, Lower East Side Printshop, NURTUREart, Sikkema Jenkins Gallery, and ZieherSmith Gallery in New York City. She has received an Abbey Mural Fellowship from The National Academy, a BRIC Media Fellowship, a Manhattan Graphics Center scholarship, an Asia Society travel grant, and two Chicago CAAP grants. Deanna was a 2004 artist-in-residence at the Millay Colony for the Arts.